So, now we have evidence that East Africa, South Africa and Northwest Africa are all legitimate homelands for Homo sapiens sapiens. Geneticists are getting collectively progressively insane. In addition to agriculturalist Bantu mtDNA genes diverging some 70K years ago, we now have a "theory" whereby all men came from Berbers. But then didn't the Berbers migrate to North Africa within the past few thousand years? Don't you find that C-T (or CDEF) being only 39 Ka. old is extremely implausible? I do. According to the latest archaeological data (Petraglia 2010 and 2011), it should be older than 80 or 90 Ka. If we are to follow Armitage 2011 (who argues for a coastal OoA via Arabia peninsula c. 125 Ka. ), then it'd be even older. BTW, the dating and number of branching results of this study greatly strengthen the Out of Africa theory. I don't find the 39ka for CT implausible. It is a matter of luck that A1b survived in some men; if we hadn't sampled these 4 people we wouldn't even know it existed. It's quite possible that lineages that branches off after the BT but before CT have died off. See also new post. The archaeologically supported ages of peoples outside Africa is well before 39kya, and there is no evidence that men with Y-DNA hgs A or B (xDE, xCF) were ever a part of that population. The population genetics of Papua New Guinea and Australia put quite old minimum possible ages (ca. 45,000 years ago) on the age of subhgs of CF that don't have a local common origin, but those subdivisions of CF, by this paper's estimate, have to be considerably younger than 39,000 years ago. This also seems out of line with whole genome project report hints that the divide between DE and CF is much deeper than previously realized. It is also very hard to believe that a Eurasia whose anatomically modern human men from ca. 100,000 years ago to 39,000 years ago by this estimate were entirely Y-DNA hg A and hg B would not have left a single patrilineal descendant in Eurasia today. There is just no evidence that the newcomer hunter-gatherer men where so dramatically dominant relative to the existing hunter-gatherer men that we would see that kind of completely uniform result. Even if the newcomers were somewhat superior to their predecessors, we would instead expect to see something like the distribution of Y-DNA hg D in which at least some relict populations rich in it and some populations where it is present but at low frequencies still exist somewhere in Eurasia. Random chance can eliminate lineages, but given the likely effective populations and immense range with independent populations involved, that seems highly unlikely. While there is certainly no requirement that TMRCA of Eurasian Y-DNA lineages, and TMRCA of Eurasian mtDNA lineages, and the oldest Eurasian anatomically modern human archeaological traces in Eurasian be the same, the bigger the disparities are between these three sets of dates there more reason there is for skepticism. A process that produces a big gap between the TMRCA for Y-DNA and mtDNA implies some powerful gender specific selective force, and if these mutations aren't selectively neutral, some of the assumptions that go into the mutation rate age model are wrong. A much older archaeologically attested age than genetically estimated one must flow either from a total replacement evident in the Upper Paleolithic of one race of anatomically modern humans by another, or from miscalibration of the genetic mutation rates, and there is little or no evidence to support the happening of a total replacement event in that era. Also, assuming that modern semi-nomadic Saharan people are descendants of NW African of 140kya rather than of Africans from elsewhere is a not an assumption we can put much faith in. There is every reason to think that these people could have been diasporic migrants from elsewhere in Africa sometime in the last 140,000 years, that involve multiple wet-dry cycles of the Saharan pump, or a product of isolated case of relevatively recent admixture. There is pretty good evidence for population continuity in NW Africa on a scale of 12,000 years, but not 140,000 years. A better approach would be to recognize that phylogeny conclusions are much more reliable than Y-DNA mutation rate conclusions since it is well established that mutation rates across the NRY-DNA genome are not consistent and that age estimates are highly sensitive to the loci chosen. "Berbers and other Northern Africans are only partially descended from West Asian immigrants, not fully; those of them that live in the Sahara like Tuaregs and Mozabites have significant Negroid admixture. Also the basal haplogroups are much more concentrated in full or close to full Negroid peoples like Bakola Pygmies and Fulbe (=Fulani)." So, the traces of the most basal human lineage A1b were lost almost everywhere but survived in admixed Berbers and Bantu-speaking Bakola? A1a is also found in Moyen Atlas Berbers and Tuaregs. Again, did they get sucked in from a Negroid substrate after Berbers and Tuaregs had arrived from West Asia? And after that the lineages got lost in most extant Negroid populations? "the dating and number of branching results of this study greatly strengthen the Out of Africa theory." No, it's the out of Africa theory that keeps forcing the data into its mold. The fact that there are three different "homelands" in Africa now, all supposedly arrived at using the best scientific tools out there, suggests that some fundamental assumptions that geneticists make (mutation order, etc.) are flawed. Whover said that men with those haplogroups were part of that population? Also, who said that CT originated in Africa itself? I prefer to think that it originated in the continuum between North Africa and West Asia. It expanded from some unknown region within that continuum, probably the Sahara and replaced Y-chromosome lineages everywhere, leaving only a few remnants in the far West and South of the continent. I do think, however, that we must re-examine A-haplogroup outliers elsewhere with renewed interest. A NW African origin of Y-chromosomes makes it much more probable that occasional outliers in West Eurasia may have a much more interesting tale to tell. A1a is found in many West African populations at low frequencies, so it shouldn't surprise anyone when it is found again in low frequencies in some Berber groups (especially in non-coastal Berber groups). As for Bakola Pygmies speaking Bantu, so what? All Pygmies speak languages of the agriculturalists, yet genetically they are far apart, despite some admixture from agriculturalists in some of them. Also, this study doesn't cover much of Africa, so we should be patient until a more extensive study. That is not a flaw for Out of Africa, as Out of Africa is very strong as long as all of the likely homeland candidate regions are within Africa (which is the case today). But your Out of America is now in more danger than ever, as the most basal clades are found within Africa and they are extremely old compared to the Out of Africa clades (CT). BTW, A1b is extremely rare, so who knows where it will turn up next? I should also point out that CT is not the safe as "CDEF", because haplogroup DE is not part of the CT clade (aka CF in the ISOGG tree). Very interesting. I think this lends more credibility to a postulated aboriginal Northwest African population, with ancient SubSaharan affinities (or SubSaharan affinities to ancient Saharans) absorbed by West Asian agriculturalists (a possible ethnogenesis of Berber-speakers). It's also interesting that in one of my runs, there was such a Native Northwest African element mixed with a dominant element which clustered with West Eurasians. This element had quite high fst distances to all other groups, which could be due to some residual "exotic" ancient element. Also relevant may be one of your analysis which showed deviation of both North Africans and Finns (to a smaller degree) apparently in the same direction in a secondary PCA dimension (with Indians and presumably East Asians "going in another direction"). Naturally ADMIXTURE results need to be interpreted with care, still, maybe it was something after all. They have totally ignored DE (and F) in their phylogeny and all mentioned markers are of their own coinage (V-something), so I do not know what to say. But in ISOGG CF is CDEF or CF'DE or formerly Y(xA,B) and C+F is called now CF(xDE) - go figure! The nomenclature is clearly up for a wipe. Regardless, BT is, must be, still Y(xA) and attributing it as little as 75 Ka. is ridiculous, it is impossible that it has less tha 90 Ka., surely more. Both A1a and A1b are very rare haplogroups where they are found, thus we shouldn't expect from them any noticeable effect on the autosomes. So the autosomal results, which suggest that Khoisan and Pygmies are the earliest splits in the phylogeny of the extant humans, are still very strong in their this suggestion. "That is not a flaw for Out of Africa, as Out of Africa is very strong as long as all of the likely homeland candidate regions are within Africa (which is the case today). But your Out of America is now in more danger than ever, as the most basal clades are found within Africa and they are extremely old compared to the Out of Africa clades (CT)." Out of America is not in any danger as it's based on an interpretation of cross-disciplinary data (genetics, archaeology, linguistics, kinship studies, ethnology), not on a handful of dilapidated bones and a pittance of genetic lineages (the so-called basal one in this paper is attested in 4 individuals). stretches have retained the same length in the two species (15/56 human versus chimp, 15/53 chimp versus human, see Table S4), which is consistent with the hypothesis that this marker might be evolutionarily unstable.") Any rooting with a chimp sequence is highly unreliable. We know that chimp Y chromosomes experienced mutation runups. We need a more recent and secure outgroup such as Neanderthals in order to root modern human trees. X chromosome B006 found at highest frequencies in America is identical to the Neanderthal one. Papuans have a direct match with Denisovans. Out of Africa doesn't have this kind of matches. As for the CT clade, the Y-DNA tree topology is very similar to the ones built off of "archaic admixture" results, hence it's likely that the CT clade is not more recent than A but just evolved under different demographic conditions that favored slower mutation rate. I'm glad to hear that "Out of America" is not in trouble. Unfortunately, this is the end of that theory, at least for this blog, as I consider it a waste of comment space. Any further posts espousing the theory will be deleted. "Unfortunately, this is the end of that theory, at least for this blog, as I consider it a waste of comment space. Any further posts espousing the theory will be deleted." Nobody has "espoused" the out of America theory in the comments section of your blog. I started doing it in a book called "The Genius of Kinship" (Dziebel 2007) that you, btw, should read. But the book is mostly about kinship and not about out of America. When I write a book, the theory will be "espoused." If people refer to out of America in the comments section of your blog, I think I have a right to reply. You should better focus on sharpening your own theories (which sometimes have interesting angles to them), and not wasting anybody's time with policing other people's comments. There is too much clutter in the comments, and the "Out of America" angle is a big part of it. Good luck convincing anybody that modern humans originated in the Americas. "Good luck convincing anybody that modern humans originated in the Americas." Swarms of scientists have failed to convince most people over the past 200 years that God didn't create man. So, I don't keep my hopes up. But I'm fairly sure that the students of human origins will slowly realize that there are two hemispheres to this world, not one. "Also, who said that CT originated in Africa itself? I prefer to think that it originated in the continuum between North Africa and West Asia"
I'm inclined to that view too. "It's quite possible that lineages that branches off after the BT but before CT have died off". "The population genetics of Papua New Guinea and Australia put quite old minimum possible ages (ca. 45,000 years ago) on the age of subhgs of CF that don't have a local common origin, but those subdivisions of CF, by this paper's estimate, have to be considerably younger than 39,000 years ago". "If we are to follow Armitage 2011 (who argues for a coastal OoA via Arabia peninsula c. 125 Ka. ), then it'd be even older". I'm sure you know my feelings concerning 'a coastal OoA via Arabia peninsula'. Dienekes, what makes you think that? There is nothing in the Cruciani paper that I can find where they are trying to redefine CT. CT conventionally includes ED - CF does not. To me, it looks the most likely that both North Africa and Northeast Africa where initially either BT or CT. They became somewhat isolated at the CT stage; one of them turned into ED which evidently migrated out (leaving E closer to its origin), the other also migrated out but became extinct in Africa. In the green Sahara, the North would have had the by far much larger population, so I would place the quicker evolution to ED there, by about ~120,000 years. The smaller CT camp in East Africa migrated out, perhaps with some E, and vanished in Africa, overwhelmed by E. That would make CT around 150,000 years ago. As others, I think the time depth is about a factor of three to four deeper than Cruciani's suggestion. P9.1, M168, and M294) at 70 thousand years ago (Kya)"
CT must be "all between C and T in alphabetical order", and that includes D and E (and therefore DE as a whole). That's the convention as I understand it. I don't personally like this kind of nomenclature too much but that's how it is. However the use of different markers make it a bit confusing. I personally think that CF(xDE) must have split from CF'DE (or "CT") soon after CF'DE itself formed, so it should not be much of a difference anyhow. Whatever the case CF(xDE) could not be as recent as 39 Ka. if we want it scattered through Eurasia c. 70 Ka, as all archaeological evidence suggests (or even earlier maybe). 1000 genomes also distinguishes between CT and DE, and finds a deep divergence between them; see updated post. "To me, it looks the most likely that both North Africa and Northeast Africa where initially either BT or CT. They became somewhat isolated at the CT stage; one of them turned into ED which evidently migrated out (leaving E closer to its origin), the other also migrated out but became extinct in Africa". I tend to believe that CT migrated out, with mtDNA M and N. The region they inhabited may have included northern Africa but it almost certainly included a substantial region outside Africa. It was during this period that CT first diversified into DE and CF, then C, D, E and F. And then the four haplogroups went their separate ways. That means that haplogroups C, D and F did not become extinct in Africa. They were never there. I agree that CT seems too recent in this paper. "I personally think that CF(xDE) must have split from CF'DE (or 'CT') soon after CF'DE itself formed, so it should not be much of a difference anyhow". I thgink that is very likely to be the case. "this CT, shown in the figure as as the common ancestor of C and R is not the same as that of Karafet et al. (2008)"
That is something of an explanation for the problem. But there must be more to it than that. "I tend to believe that CT migrated out"
Sure, CT or CF migrated out. However, assuming ED split off outside Africa means then both DE* and E back-migrated into Africa, with E becoming the most successful haplogroup there, although DE* and D became rather unsuccessful in Asia. From a population number perspective that just seems very unlikely. Upon reading your post, I remember of this article on parasitology. "Improved catalogues, such as that compiled by Coombes and Crompton [ 15] , provide a much more comprehen- sive list of human parasites and enable us to allocate to each one a degree of dependence on humans for its survival. Of the 40 or so 'human specialists', most have cosmopolitan distributions and their region of origin is obscure, so they give no clue to human origins. 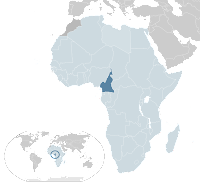 Those that are geographically restricted, or whose origins can be otherwise deduced, are predominantly Aethiopian (Africa south of the Sahara). This indicates that we have been in Africa long enough for a few specific host-parasite associations to emerge, and accords with our supposed African origins. However, the 'human specialists' are not concentrated, as might be expected, in the East African savannahs, but in the rain forests of West and Central Africa: the cradle of humanity, according to our parasites, was not Olduvai or the Danakil, but somewhere in Gabon or Cameroon." It's not associated with Pygmies, it's widely diffused from West Africa to South Africa and Zambia, but always at a very rare frequency. I didn't find it in Khoisans, but that could have been because of the few samples available. Also, if Bantus had absorbed these A1b lineages from Pygmies then they would have received 50 B2b samples for every 1 A1b sample, because that's the ratio of B2b to A1b in Pygmies. But Bantus in West Africa have about the same rate of A1b and B2b, around 0,3% to 0,5% in either haplogroup. Also, the A1b clade can be further subdivided into 3 clusters, based on hapotype, and the Pygmies only have 1 of these subclusters, but Bantus have all 3, so Pygmies can't even claim a subcluster as their own. "assuming ED split off outside Africa means then both DE* and E back-migrated into Africa, with E becoming the most successful haplogroup there"
By no means impossible. Especially if the back-migration occurred while DE was still strongly represented in the back-migrating population. E later largely replaced DE in Africa while D replaced DE in Asia. That scenario fits the mtDNA evidence better than a postulated migration of already differentiated C, D, E and F. Three of those haplogroups mysteriously do not appear in Africa except in the form of later back-migrants. The same as mtDNAs M and N.
"the cradle of humanity, according to our parasites, was not Olduvai or the Danakil, but somewhere in Gabon or Cameroon"
Fascinating. Fits the current paper. Also, the A1b clade can be further subdivided into 3 clusters, based on hapotype, and the Pygmies only have 1 of these subclusters, but Bantus have all 3, so Pygmies can't even claim a subcluster as their own. It is entirely wrong to make such a comparison between Bantus and Pygmies given the gross imbalance between the total population numbers, geographical range and sampling of the two groups today and also given the extreme rarity of A1b. "That scenario fits the mtDNA evidence better than a postulated migration of already differentiated C, D, E and F."
Well, that's of course the other extreme. I suggested that ED and CT (or CF) migrated out. I think it is easier to argue that even a small CT group, which later died out in Africa except for its sons ED&E, could establish big numbers outside Africa (where it had limited competition) than to argue that a small ED, which did not become successful, would back-migrate and wipe out almost everything else in Africa. "I suggested that ED and CT (or CF) migrated out". Obviously we'll have to wait until we have more evidence, but I think it looks likely that CT will prove to be a single clade of BT. In other words much the same way as mtDNAs M and N are separate clades of L3. And B will be shown to have diversified at the same time as CT formed, just as L3 diversified at the same time as M and N formed. "I think it is easier to argue that even a small CT group, which later died out in Africa except for its sons ED&E, could establish big numbers outside Africa (where it had limited competition)"
Again, I don't think the evidence actually shows a rapid expansion as soon as M and N had left Africa. They were held up somewhere for some time before they were able to expand. "than to argue that a small ED, which did not become successful, would back-migrate and wipe out almost everything else in Africa". But many have argued just such a replacement, whether E moved back into Africa or is indigenous to that continent. I suspect that periodic aridity of Africa and regions just beyond it have been far more important during human expansion and contraction than is usually considered to be the case. "Also, the A1b clade can be further subdivided into 3 clusters, based on hapotype, and the Pygmies only have 1 of these subclusters, but Bantus have all 3, so Pygmies can't even claim a subcluster as their own." This fits perfectly well with linguistics, as Pygmy languages are Bantu languages. I don't see a connection with linguistics. "It is entirely wrong to make such a comparison between Bantus and Pygmies given the gross imbalance between the total population numbers, geographical range and sampling of the two groups today and also given the extreme rarity of A1b." "I don't see a connection with linguistics." 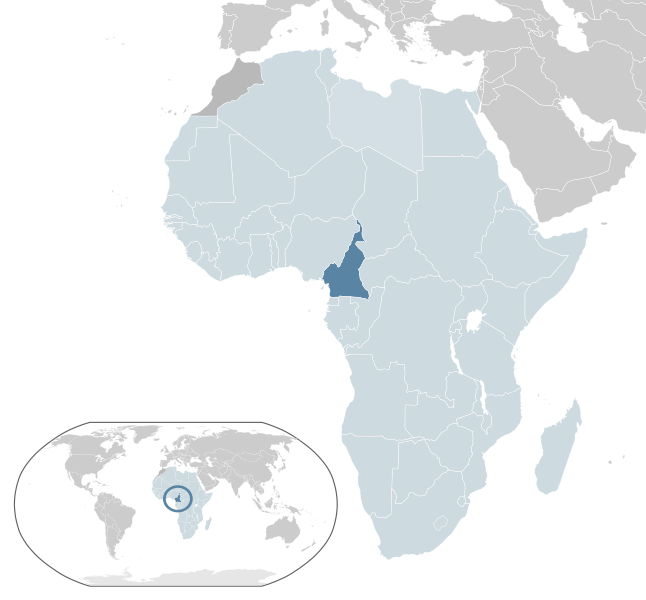 According to linguistics, most Pygmy languages are a subset of Bantu languages (plus some Pygmies speak Ubangian and Nilo-Saharan languages) and Pygmy languages descend from proto-Bantu located in West Africa. At face value, this is pretty much what argiedude's argument is for A1b. German, pygmies of today are a small remnant population, so there is no justification for speculations such as Argiedude's. Linguistics gives information about what languages are spoken today, but not about how they were acquired (e.g., with some admixture or not). In the case of Pygmies, genetic and other evidence seems to favor a scenario of language acquisition without admixture. This is one of the two most ridiculous claims ever. With all the ramifications of us being all brothers and sisters by blood (genetic variety reduction and degeneration, etc), the fact that the exactly the opposite is true, and the fact that there are too many religious terrorists who are infiltrating science in order to discredit it or use it to "prove" their mental delusions, one hsa to be crazy to subscribe for it. If monkeys could develop on different continents and in isolation from other species, then the humans could had done it too. I also note convenient placement of the candidate for our ancestor into the area from where three of the worst religious delusions came from. Well, a reality check, the other most ridiculous theory on human development tells us that we all came from Africa, so your arab father is a no-go. Plus, we would all have the same haplogroup within the varieties of the group, since there could not be big changes within the group such that could account for such a variety of skin colour, physical appearance or hair and eye colour. And what about the African people who actually remained in Africa ever since, supposedly, their brethren left wondering around? Whata nonsensical attempt to sabotage the science and peddle religious concepts as theories!!! !